2014 Hugo Award finalist for Best Graphic Story Based on the short story by George R.R. 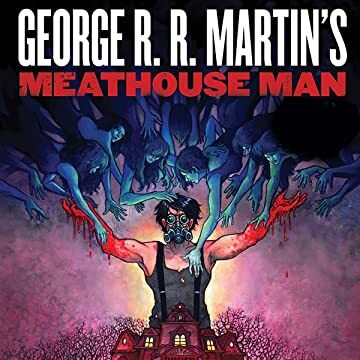 Martin, bestselling author of A Game of Thrones, Meathouse Man is a darkly poignant tale set on a collection of planets called corpse worlds. On these planets, corpse handlers transmit their wills to an army of brainless bodies—once living people now rendered expendable. Perversion abounds as these corpses are exposed to appalling conditions at the whim of handlers. 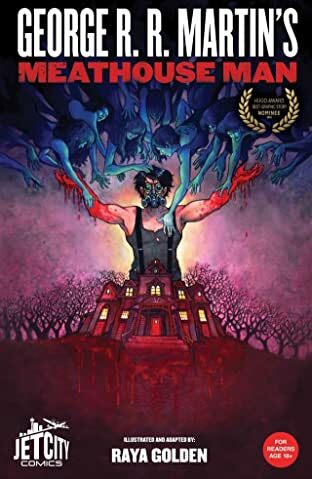 The grim story follows one such handler—a man who remains nameless—through his teenage years and into adulthood, across corpse brothels, monotonous jobs, heartbreak, and betrayals. His increased detachment from reality becomes a spiraling descent into rejection and desensitization to the horrors around him. Set among towering buildings, giant rolling planetary processing units, and vast forest terrains on several different worlds, this journey serves as a modern fable of warning and a fascinating exploration of an alternate world perhaps not so different from our own. This comic contains explicit content and is recommended for mature readers.